Winx Club All transformations. . Wallpaper and background images in the The Winx Club club tagged: season 3 winx club episode 4 episode 2. 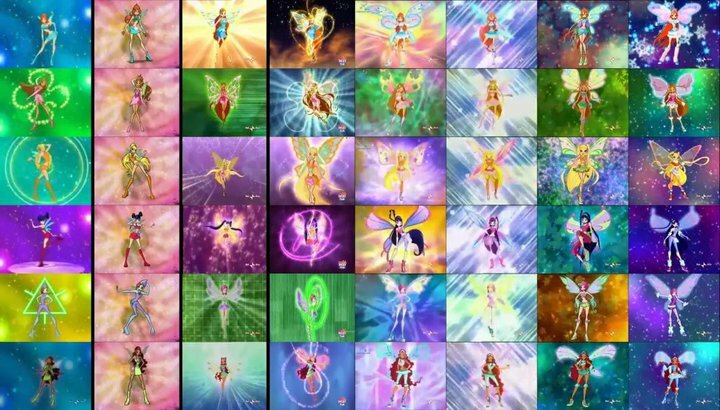 This The Winx Club photo might contain داغ گلاس ونڈو and داغ گلاس دریچہ.